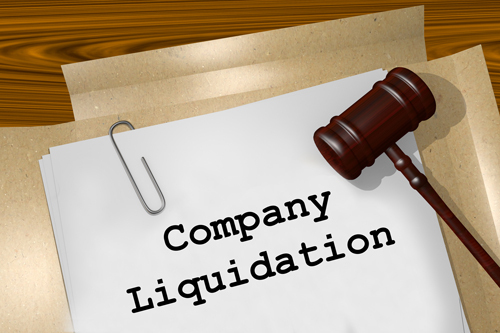 Liquidation is the winding up of a company by distributing the proceeds realised from the sale of the company’s assets to its creditors. It is done in the order of priority and the surplus to the owners according to their rights and interest. Upon liquidating the assets and distribution, the company is formally dissolved and struck off ACRA’s register. After this, the company ceases to exist. An independent liquidator whose powers, duties and functions are regulated by the Companies Act, is appointed to carry out the liquidation process to ensure just distribution of the proceeds from liquidation. The terms liquidation and winding up are used interchangeably. They are relevant terms in the context of limited companies and refer to the disposal of assets of a company to settle its debts and liabilities when the company is unable to pay off or when the owners would like to extract the value locked in the company’s assets and cash. The term bankruptcy on the other hand, is only applicable in the context of individuals, partnership or sole proprietary firms. In this type of liquidation, the creditors or members (shareholders) of the company may pass a special resolution to wind up the company, and the process of liquidation commences right from the time of passing the resolution. There are two types of liquidation – Members’ Voluntary Liquidation (MVL) and Creditors Voluntary Liquidation (CVL). To achieve tax efficiency by minimising the liability or by maximising the advantage of tax benefits. Get clarity on all tax-related matters for businesses in our detailed guide about corporate tax in Singapore. If a company is insolvent, its directors can convene a meeting of the company’s creditors to consider its proposal for voluntary liquidation. On passing a resolution in favour of the liquidation the company will appoint a liquidator, subject to the approval of the creditors. Directors of a company that is distressed with debts and liabilities may choose this route to write-off the debts while appropriately addressing the creditors that they have not personally guaranteed. In the case of MVL, if no declaration of solvency is submitted by the directors or if the liquidator is satisfied that the company will not be able to pay its debt in full within 12 months after commencement of winding up then the liquidation will proceed as CVL. The directors of the company must file a declaration of solvency signed by the majority of the directors. Within six months of the directors’ meeting, an Extraordinary General Meeting (EGM) must be held for passing the resolution of winding up. Meanwhile, a provisional liquidator must be appointed by the board via an ordinary resolution, and within 14 days of such appointment, the appointment of the liquidator and the declaration of solvency must be advertised in the local newspapers. The EGM must pass the special resolution of winding up with majority approval, and a liquidator must be appointed with a special resolution empowering the liquidator to recover, realise and divide the assets of the company. The special resolution must be filed with the ACRA within seven days and must be advertised in local newspapers within ten days. From this point forward, the liquidator will take control of the company, and all communications from the company must bear the words ‘In Liquidation’ beside the name of the company. The liquidator will settle all the affairs of the company and file all required notification, obtain all clearances, and maintain an account of recovery, realisation and settlement of debts. The liquidator will also divide any surpluses left after settlement of creditors among the shareholders as per their rights and interest. The company shall cease business activities after the commencement of the liquidation. Unless the liquidator approves, the shareholders must not transfer their shares in the company. The powers of the company vested in it upon incorporation shall remain until it is dissolved. When a company becomes insolvent, whereby it is unable to pay off its debts and liabilities, the court can compulsorily wind up a company. For a company to be compulsorily liquidated, an appeal for Originating Summons has to be submitted to the court. The company itself, or a shareholder, creditor, liquidator, judicial manager or where appropriate the minister can apply for the Originating Summons from the court. It is proved to the Court’s satisfaction that the company is unable to pay its debts. Application for liquidation is filed with the High Court along with a proposal to appoint a liquidator. The High Court issues the liquidation order. The company officers submit a statement of affairs to the liquidator who sends a summary of the same to the creditors and shareholders and seizes the assets for disposal and realisation. After realising the proceeds, the liquidator will ask the creditors to submit proof of their debts. On receipt of proof, the claims will be adjudicated, and the proceeds will be distributed to fulfil the claims of debtors. The liquidator will notify the creditors and the shareholders of the intention to apply for dissolution along with a summary of accounts of realisation, claims and settlements. After the notice, an application to strike off the company will be filed with the ACRA. After filing for an application of Originating Summons, the company may apply to the court to stay or restrain any pending legal proceedings until an order is issued. No proceedings or action shall be commenced or proceeded against the company after the issue of a winding-up order. The liquidator will take control of the company, and the officers have no power. Any business transactions, such as the sale of assets, transfer of shares or changes in the shareholders shall be void, unless the court sanctions. The court may still allow the disposal of an asset if it is in the ordinary course of business and if it is beneficial to the unsecured creditors or facilitates the continuation of the business. Disposal of a property in the ordinary course of business when parties are unaware of the impending liquidation, the court may sanction such transactions provided there be no reason to suspect that such transaction involved dissipation of company’s asset. Attachment or Execution judgement received by a creditor cannot be continued or taken out after the commencement of liquidation. A secured creditor’s right to deal with or realise his security over company assets remains unaffected by the winding up order. Mutual credits and debts between the company and a creditor can be offset, and any balance sum can be claimed. However, if the creditor is aware of the pending liquidation at the time of entering into such credit arrangement then such set-off claim cannot be made. The directors may be charged with fraudulent or wrongful trading and may become personally liable for some or all of the company’s debts if, in the course of the investigation, the liquidator finds out that the directors acted with an intent of defrauding the creditors or for personal benefits. Such fraudulent transactions will also be voided. It is advisable to have professional experts involved in the discussion of decisions relating to liquidation of insolvent companies as they are more complicated and the exposure of the directors to the risk of personal liability remains high. Singapore Tax Accounting Services can help in all types of liquidations in Singapore, whether voluntary or compulsory.